Open Baffle two way active tower. High Resolution Imaging and tonal accuracy using an open baffle design. 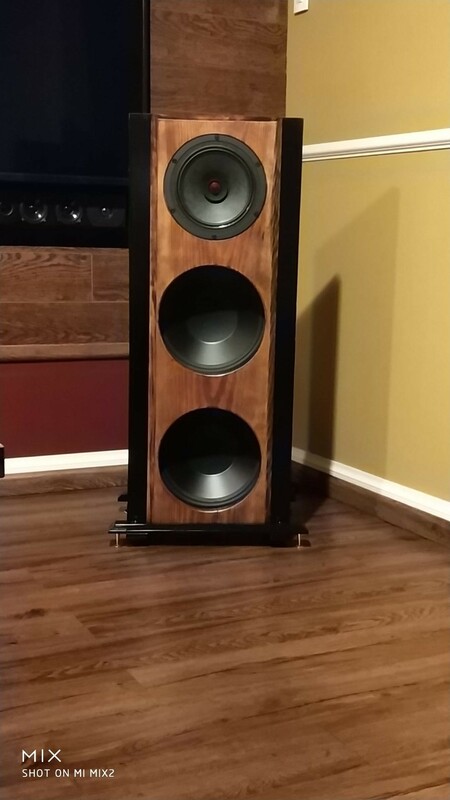 Full range top, Sub Bass x 2 below. 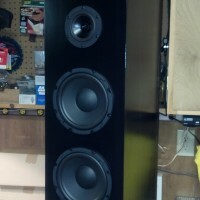 Rear mounted subs on the baffle. Front mount the full range on the baffle. 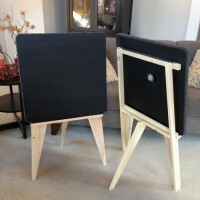 Baffle is 2.25″ thick with custom stand. 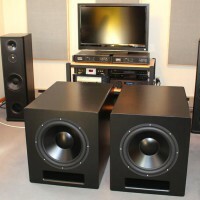 The GRS 12″ subs need some serious power. 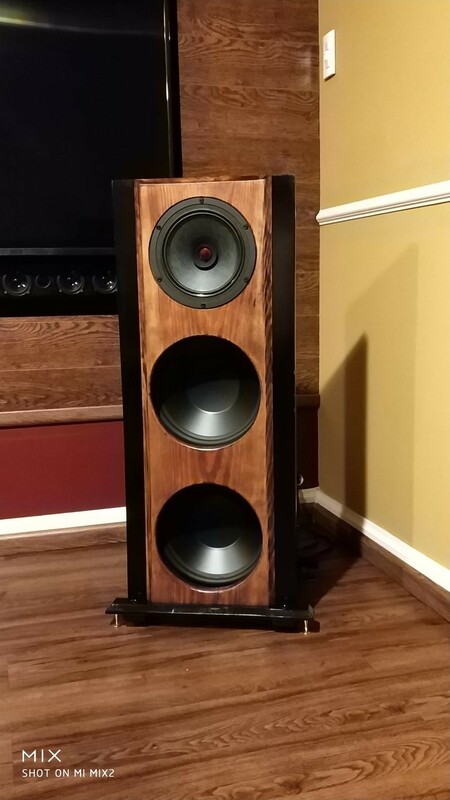 At least 80W RMS each. Gel Stain is horrible oil stain never lets you down. The project came out beyond my expectations. The point source is accurate with excellent imaging and tonal accuracy. Just a slight eq int he mid high freq is all thats needed. The bass is also very well articulated. Every instrument sounds natural with clarity and poise. 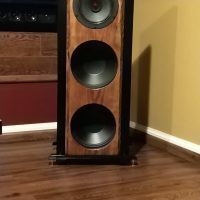 I am an electrical engineer with a passion for hi fidelity audio. I usually do auto sq installs. 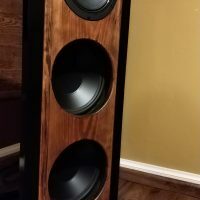 This is my first home hifi project. Dayton Audio DSS3-G Gold Speaker Spike Set 4 Pcs. Looks awesome! I’ve considered doing an OB project with those subs for a while but just haven’t pulled the trigger yet. How high did you cross them and how low will they play in room? Any active EQ on the subs to account for the OB rolloff? 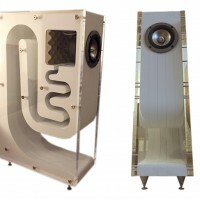 The subs are crossed at 90Hz at 48dB. I have a 2.5dB boost at 40Hz. They go as low as 28Hz in room. You can get some rumble at 23-25Hz but the excursion is massive. Glad to see someone else using the PS220 in an OB. 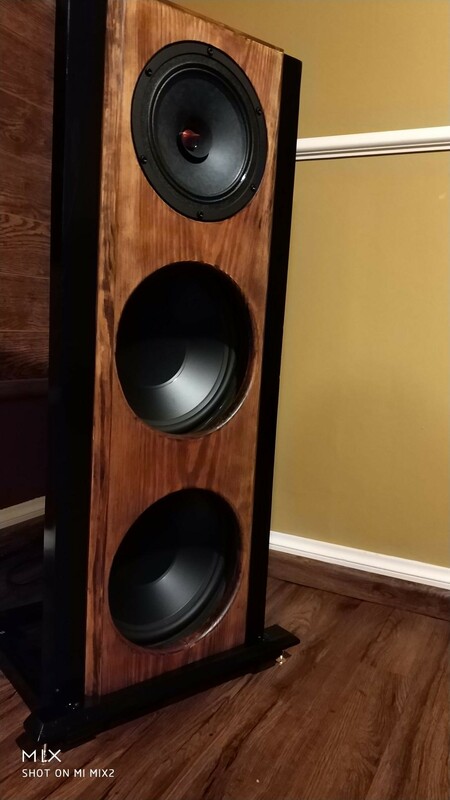 I have mine paired with 2x 21″ pro woofers (ea side), so a bit larger scale, but after some passive and active EQing, the PSs sound wonderful. Maybe not quite as detailed as my 2-way 10″ pro mid and 1″ CD, but very easy to listen to without fatigue; especially after controlling the high end some. Very clean looking build. Congrats! Thanks Benjamin, these Dayton drivers were perfect right out of the box. Excellent range, sound and build. Looks great. Jason. 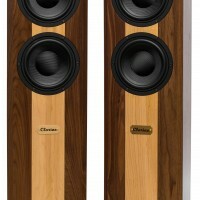 At present I am listening to a one-o-kind Open Baffle pair of speakers which I like better than my long departed Hales Transcendence 8’s. The move from boxes is transforming. 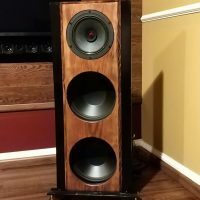 Question: what type of wood did you use for the baffle? I got lost when the wood experts examined different moisture densities. Thanks, Colm (Brampton).